Good shoe bags for journey! You won't want to travel without these useful bags. These bags are made from 210-denier, water-repellent nylon with a drawstring closure.They are durable and reusable as you can expect. Not only for travel but also home use,keeping items separated and organized.For example, protect clothes from dirty shoes in the suitcase or keeping items from getting dusty in the closet. FashionBoutique brand always try best to provide fashion and necessary products for your daily life! High Quality is our guarantee! Provides durable,lasting storage with high quality Water Repellent Material: Nylon. 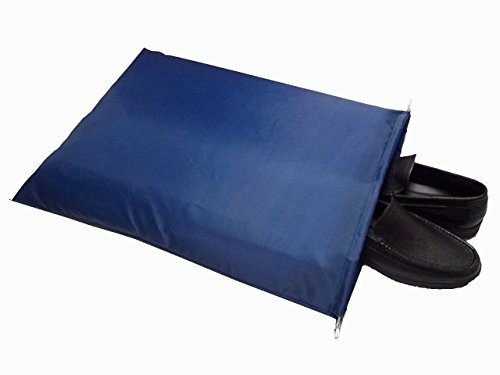 Perfect for Travel use, you can store clean or dirty shoes with these bags. Also great for keeping your favorite shoes or boots from getting dusty in the closet! Large Size: 22.5"(L)x17.7"(W), with outstanding color. If you have any questions about this product by FashionBoutique, contact us by completing and submitting the form below. If you are looking for a specif part number, please include it with your message.